Supposedly August 15th marks the end of the crazy heat every year. 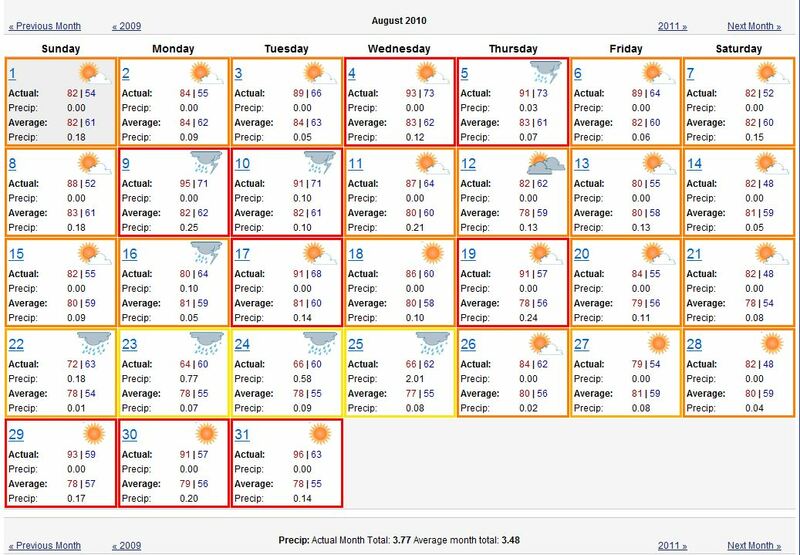 Through the month of July and even into early August, we constantly tell each other to just hold on until August 15th and we will be in the clear for extreme heat. This is usually true…but summer does not want to end this year. Although it is a few extra days to have cook-outs and go to the beach, the turf is certainly not having fun. August was not a consistent month regarding weather (temperature, precipitation), which makes turf managers’ lives a lot more difficult. Battling soil moisture levels and surface temperatures are our biggest challenge. Preventing excess moisture from building up when air temperatures reach this high is one of the few things we can do to help the turf make it through the afternoon sun. Below, the month of August is pictured to highlight that we had a total of 9 days over 90 degrees. Although we had slightly more than the average rainfall (3.77″), the battle is still tough. The start to September is not proving to be any easier, however there is a break in the weather coming this weekend. You will definitely see a hose watering greens over the next couple of days if you have not seen one already. 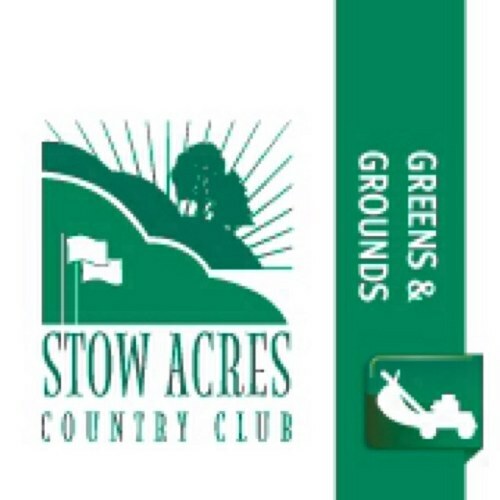 Thanks for your support as we strive to keep the turf cool and in good playing condition. See you on the course!